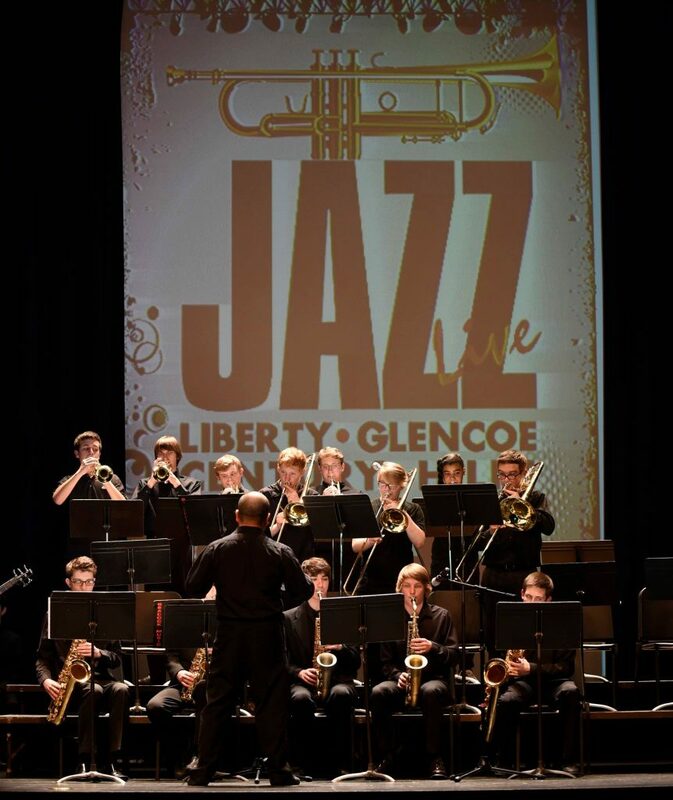 The Liberty Jazz Ensemble provides instruction in jazz-related rhythms, articulation, style, listening skills, and improvisation through the performance of music from the Jazz idiom. Jazz Ensemble typically performs at several local concerts and festivals each year. Rehearsals take place during the school year on weekday mornings before classes begin. The Liberty Jazz Ensemble is comprised of 9th-12th grade students who are usually also members of the Wind Ensemble or Concert Band. This ensemble is also open to non-band class students. CONTACT US to find out more about the Liberty Jazz Ensemble. Jazz Ensemble members and families can stay up to date by joining the private Liberty High School Bands Facebook Page .